Just across the border in River Falls, Wis., about 200 people packed a golf course clubhouse to hear Ron Branstner talk about refugee resettlement. Branstner is from Minnesota and one of a group of traveling speakers who warn of the danger they claim refugees and Islam pose to the U.S. He also spoke against cost of refugee resettlement. "You open up the door and the more you bring in, the more you can bring in," he told the crowd of St. Croix River Valley residents last week. "The door never closes. Just because you bring in 26 people and you wrap your arms around (them) and you put the American flag around them and say 'welcome to America.' You better have a lot more flags." 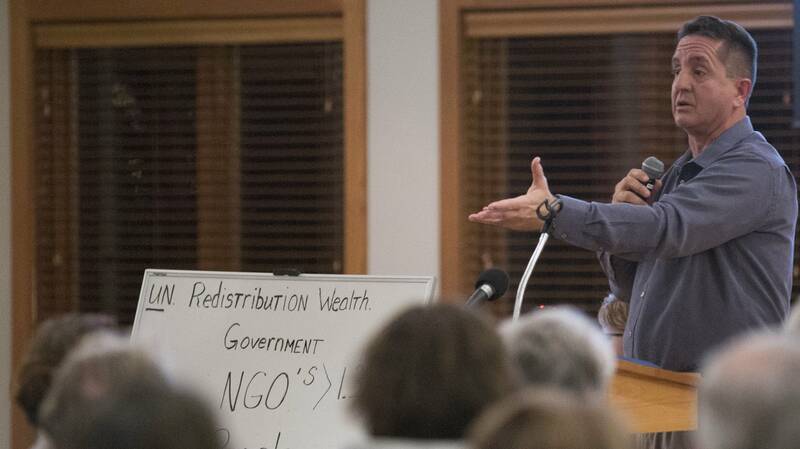 A citizen group called "Wisconsin Constitutional Prayer and Action Group" invited Branstner to speak after hearing that five Syrian families would possibly move to Hudson. St. Patrick Parish, a Catholic church in Hudson, was asked to help the refugees resettle once they come to the United States. But since the priest, the Rev. John Gerritts, spoke about the request in October, the story has taken many twists and turns. It left the church and community divided and the fate of the Syrian refugees unknown to the public. "They told you no to the Syrian refugees that are coming to Hudson?" Branstner asked the crowd. "Just curious how many of you believe that?" They answer: "No" and "because they lie." The plan to bring the Syrian families to Hudson began when the United States Conference of Catholic Bishops (USCCB) asked St. Patrick church to help five Syrian families with 15 children and 11 adults resettle. The Syrian families have one relative, an aunt, who already lives in Hudson, which is why the city was picked. The USCCB is one of nine nonprofits that handle resettlement work nationwide. They, and another organization that's been doing resettlement work for years, Lutheran Immigration and Refugee Service, contract with the federal State Department which vets refugees and decides which agency gets the cases. Those agencies then work with local affiliates. But because there is no local resettlement agency in Hudson, St. Patrick was asked by the USCCB. But the church had never taken in refugees and decided to ask parishioners what they thought about the request before making a decision. During a recent Sunday sermon, Gerritts asked the congregation to pray, fast and educate themselves about Syrian refugees. "I'm conflicted," he said, sharing a letter he wrote to Pope Francis. 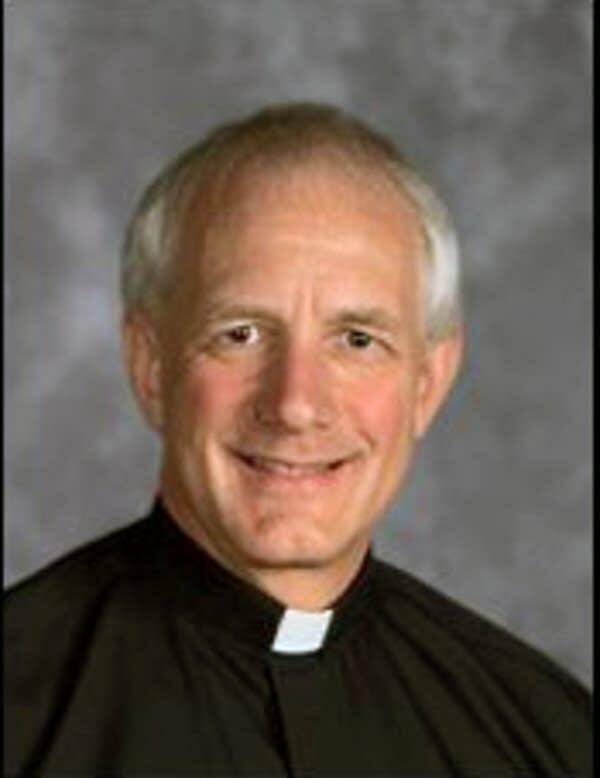 "If I do not say yes, that we will do everything possible to bring these refugees to our town, it seems I would not be following Christ's teaching, not following your teaching and not fulfilling my responsibilities as a Catholic and pastor." He went on to say he's scared his decision could break the parish's sense of unity. 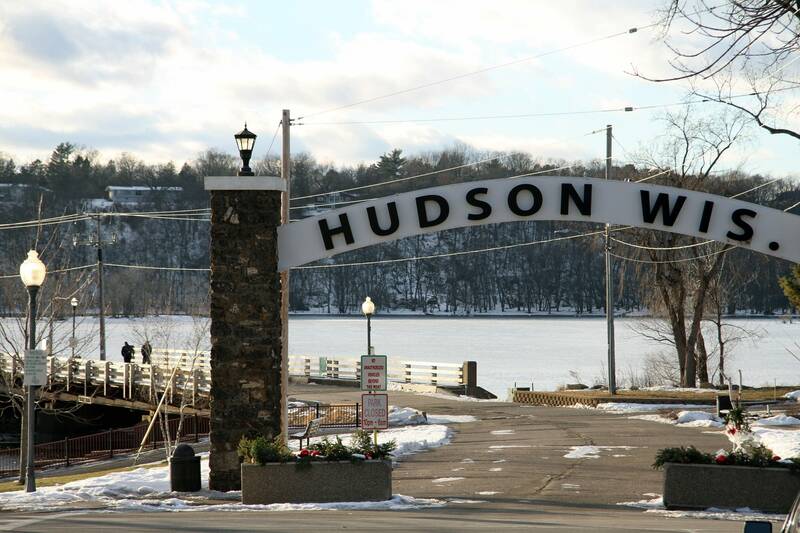 Hudson has a population of about 13,000 people. It has a picturesque downtown with a small-town feel. 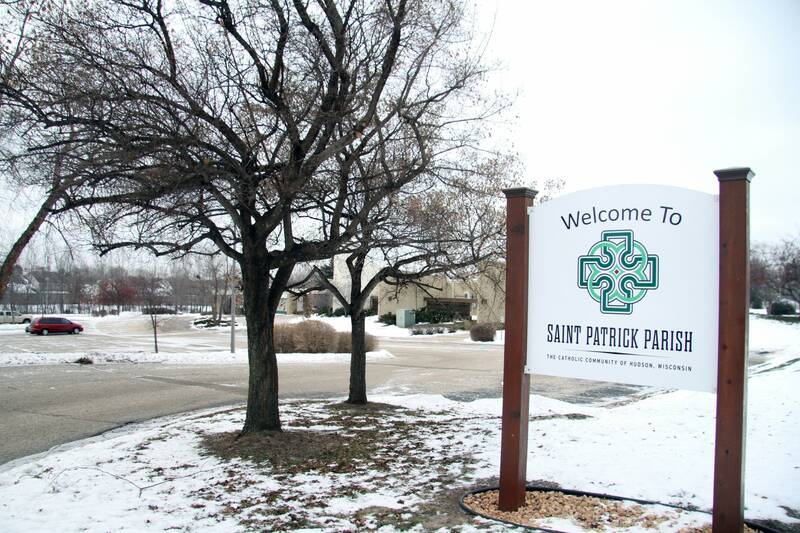 Just east of downtown is St. Patrick, where about 1,700 families worship. "If I lead our parish in bringing refugees from Syria to our town, I know that I will personally be the cause for division in our parish and greater community," Gerritts preached. Over the fall, church leaders met with civic groups, schools and city officials to see if Hudson had the resources and volunteers to resettle the refugees. They held meetings with PTAs, athletic associations, Rotary and the community foundation. There was some support, although many members of the church were reluctant to share their opinions. Some members of the church say it's not only the nation's responsibility, but also the Christian thing to do. Others in the community, like Sarah Yacoub agree. "From a standpoint of a society that isn't always as good about enacting the Christian values that we try to or we profess to believe in, we see some really devastating effects when we ostracize people socially," she said. Two groups called "Citizens for Saint Croix Valley" have also been rallying against Muslim refugee resettlement. They've met multiple times since Gerritts talked about the prospect of helping the Syrian families. Some of the group's members attended Branstner's talk in River Falls. Jim Koehler of Hudson said he's sympathetic to their plight but refugees should stay overseas. "I care about what these poor people are going through," he said. "But what I don't want to do is be so dumb and ignorant and asinine in terms of inviting terrorists into our nation, unvetted people that you do not know what their agenda is." A State Department spokesperson said refugees undergo the most rigorous level of security checks of any traveler to the U.S. Screening involves multiple agencies, including the Department of State, Homeland Security and Defense, the Federal Bureau of Investigation, the National Counterterrorism Center, the Terrorist Screening Center and the intelligence community. Critics often reference statements made by FBI Director James Comey who previously said the process has improved, but Syrian refugees are hard to check. Hudson-area residents cited terrorist attacks in Europe as reason for their fears that similar events would take place in their town. Lawmakers weighed in. Republican Rep. Sean Duffy, who represents Wisconsin's 7th District, sent a letter to President Obama in late December criticizing the refugee vetting process. He asked that vetting information be declassified before any new refugees come to Hudson. Meanwhile, Gov. Scott Walker has asked President-elect Donald Trump to give his state more authority in determining how many refugees can come from countries with ties to terrorism. Trump has promised to stop accepting Syrian refugees into the U.S.
Back at the church, Gerritts had planned to decide whether to accept Syrian refugees this week after a town hall meeting Tuesday, where he planned to talk more about what he's learned and gather thoughts. He thought he had time because he was told the refugees needed to travel by May or June. As the refugee debate unfolded, the federal government decided in mid-December the families won't go to Hudson. Additionally, their travel has been expedited and their status was changed from a "U.S. tie" to a "no U.S. tie," meaning, they don't necessarily have to move where their relative lives. Lutheran Social Services of Wisconsin and Upper Michigan resettlement program coordinator Mary Flynn said her agency was asked to step in. After she made an assessment of Hudson, she said the opposition had no role in her decision. The refugees have medical needs and they have to be close to the Milwaukee or Madison offices, she said, which are three- or four-hour drives from Hudson. "I heard a lot of people say a lot of things," she said. "Bottom line, Hudson has the capacity to serve the needs of these cases." Flynn said the families have been living in a refugee camp in Jordan. They're vetted and approved to come to the U.S. and she said Lutheran Social Services will help them in Wisconsin, but she wouldn't say where they'll end up. "I don't mean to be evasive," Flynn said. "But I think that considering the conversation that's been had about these cases, I think that they deserve a resting period right now. I don't know how else to put it." Officials with the State Department also declined to provide specific details on the refugees. But they say while a family or personal connection is often the primary factor in deciding location, there are exceptions. A family whose travel is expedited for medical reasons may need to be rerouted. Map: Where are Minnesota's and Wisconsin's refugees from? Wisconsin ranks at 27th in the country among states and territories hosting refugees, according to the Department of State's Bureau of Population, Refugees, and Migration. Since 2011, 124 Syrian refugees have settled in Eau Claire, Madison and Milwaukee. In Minnesota, 35 Syrian refugees settled in Minneapolis, Rochester, Savage and Stewartville. Minnesota ranks 36th in the country. Map: Where in the U.S. have Syrian refugees resettled since the war began? California has taken in the most Syrian refugees — 2,030, followed by Michigan and Texas. In Hudson, St. Patrick church leaders are left wondering how they could help displaced people from war-torn countries. Retired lawyer and church trustee Claire Zajac was among a group helping guide Gerritts by doing logistical research. 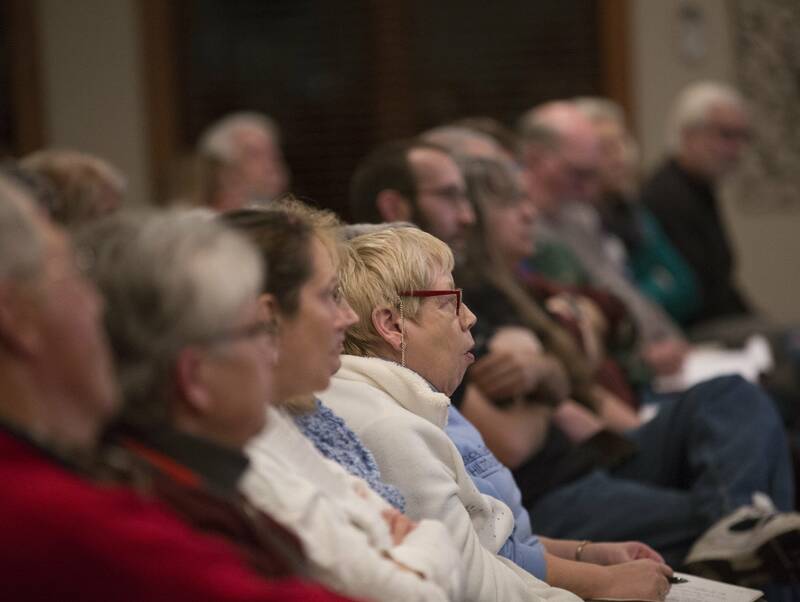 She's lived in Hudson for 20 years and says it's always been a welcoming place, so she was taken aback by the hate mail the church received as a result of this discussion. "The world is changing and we can't keep Hudson the way it's always been and the way it was when we moved here," she said. Zajac would've liked to at least have had the opportunity to make a recommendation to Gerritts. It's unfair that refugees are being treated differently, she said, and points to 145 new housing units that are under construction. "They will be our neighbors, we don't know what kind of background they have," she said. "Yet we're treating them differently than someone who's coming from a war-torn area, where they're trying to escape violence, they are victims of war, they want a new life, they want to run away from Islamic extremism. Yet, we are putting that kind of person under much more intense scrutiny than other people who just move to Hudson every day." As for Gerritts, he's kept a top 10 list of things he's learned. Among them: resettlement work is complicated, Hudson has Arabic speakers and that faith communities can pull together on common values. But he says the world is messy. He's been asked many times if he feels a weight lifted off his shoulders now that the fate of the five Syrian families is no longer in his hands. "I preached on Christmas the difference between happiness and joy. And in some sense, might this make me a little happier? Perhaps," he said. "But I also know that if we are not willing to face really difficult questions into the messiness of life that we're also are never going to truly experience joy."